Harper Fowlkes House Watercolor Prints Available! 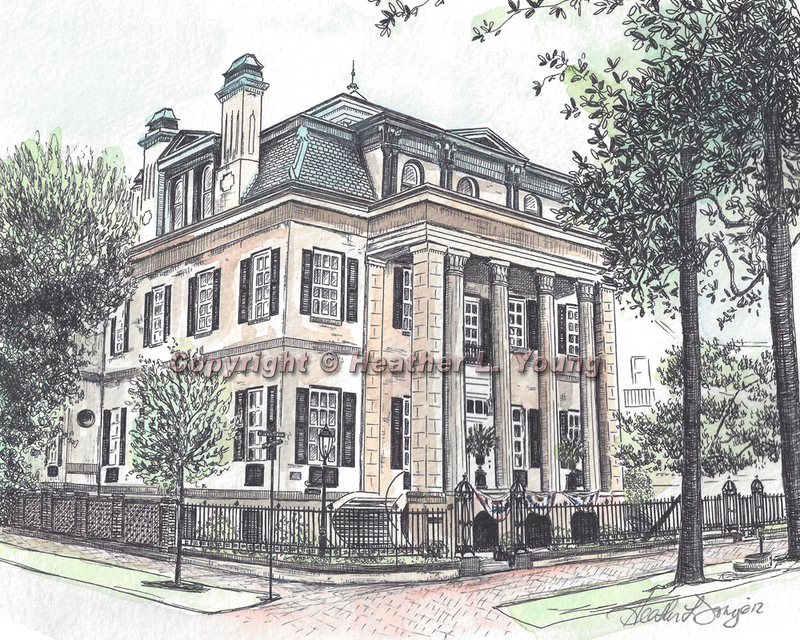 Delicately washed watercolor prints of Savannah’s Harper Fowlkes House are finally up for sale in the The Ink Lab! Each print has slight variations that make it unique, comes hand signed and matted. If you ever get a chance to visit Savannah, I highly recommend taking a tour of this beauty. From the exterior to the interior to the lush garden, this house embodies Savannah’s grace and charm!